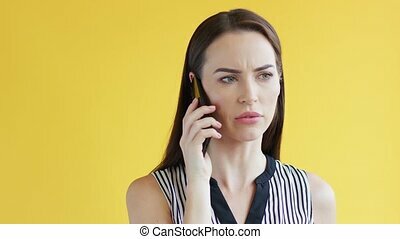 Woman speaking on phone. 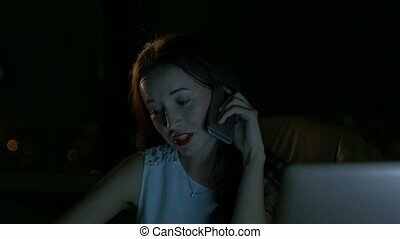 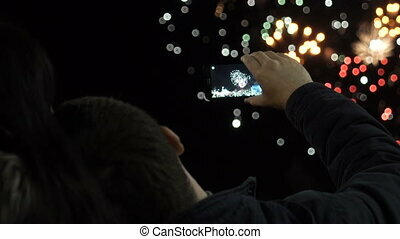 Happy woman speaking on phone while standing in front of wall illumination. 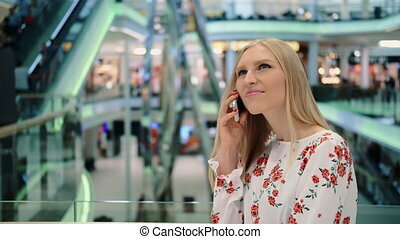 Happy woman speaking on phone while standing in front of wall illumination. 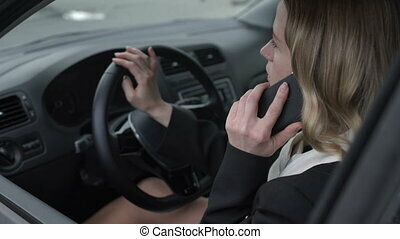 Woman speaking on phone while hitchhiking. 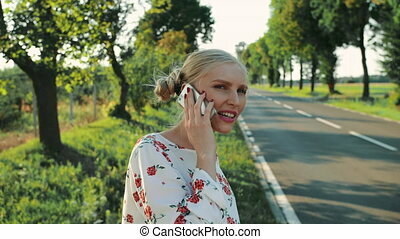 Side view of lovely young female talking on smartphone and waiting for car while standing on roadside during trip through countryside. 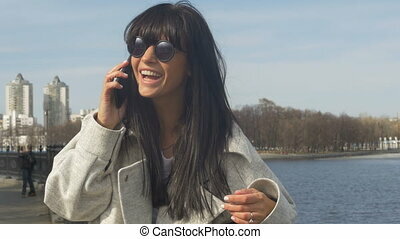 Pretty young woman in leather jacket and sunglasses speaking on phone and smiling during her walk through city. 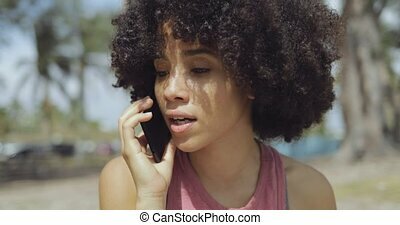 Relaxing black woman with short curls speaking on smartphone while sitting in bright sunshine on background of park. 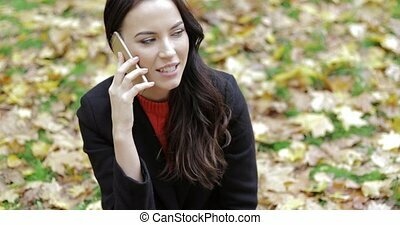 Pretty smiling woman in black jacket and polo-neck shirt speaking on phone during her walk in autumn park. 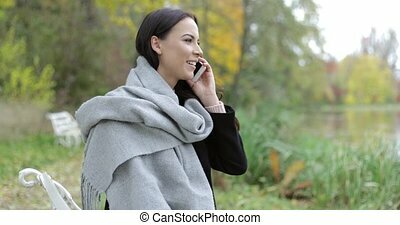 Pretty woman in black jacket and large gray scarf sitting on bench at speaking on phone in autumn park. 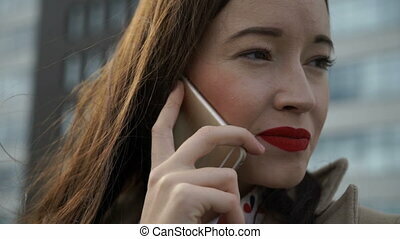 Pretty smiling woman with gray hair speaking on phone while standing on street at night. 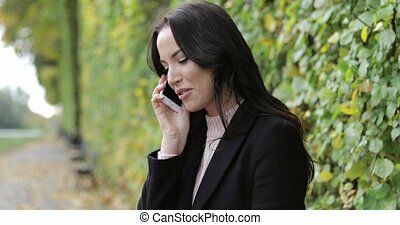 Smiling woman posing for camera while leaning on fence at night. 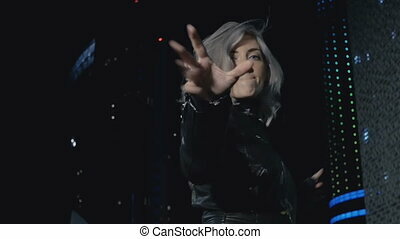 Pretty smiling woman with gray hair dancing on street at night. 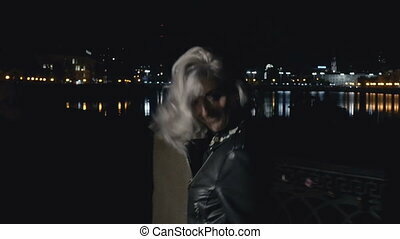 Attractive smiling woman with gray hair standing on street at night. 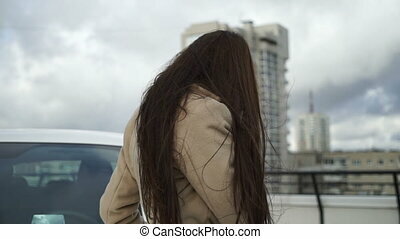 Pretty woman with gray hair posing for camera while standing on street at night. 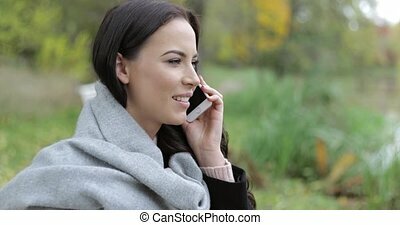 Cheerful girl talking phone while standing on waterfront. 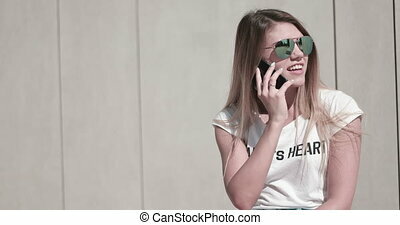 Stylish young woman wearing sunglasses and using smartphone on background of city and waterfront. 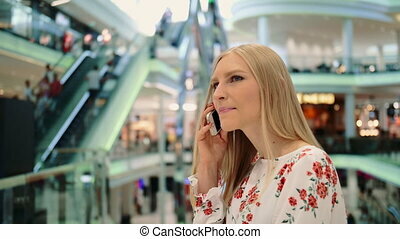 Modern young woman laughing joyfully talking on mobile cell smart phone in the city. 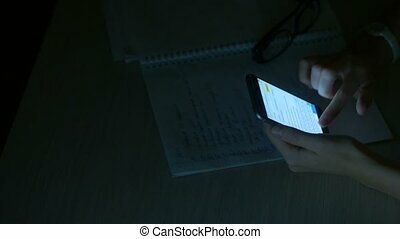 Happy hipster girl having fun communicating via smartphone in sunny spring day.